Private Pilot Ground School begins 3/30/19 at Burke Lakefront Airport. Call 216-289-5094 to sign up! Congratulations to Saki Chen, Larry & Richard Rohl, and Amanda Lincoln on their historic journey around the world! Saki became the first Chinese female ever to enter China on a circumnavigation flight! T&G Flying Club is Northeast Ohio's longest running and largest flying club. We have trained approximately 10,000 pilots since beginning operations in 1976. Choosing the right flight school is important. You want to know that you are buying a safe, high quality experience. When comparing us to others, be sure to ask a lot of questions. Some key things to ask about are: how experienced the instructor and the school are, where/how the planes are maintained, what is included (and not included) in the rental rate (ie: fuel, insurance), what does the training program consist of and how well does it fit with the logistics of your life? - An extensive fleet of 25 aircraft available to accommodate all levels of flying expertise. Train in a Cessna 152 (the most economical trainer around) and graduate to faster and more sophisticated aircraft as your skills advance. - Affordable aircraft rates. We get bulk discounts on fuel and other aviation costs, keep overhead low, and pass the savings onto our members. Beware of misleading low rates advertised elsewhere ("dry" rates, misc surcharges, inflated ground time, etc). - A superior pilot training program. T&G has been training pilots longer than anyone else around and we are experts in flight training. - A comprehensive insurance package. This is a key differentiator between us and our competitors. We maintain an insurance policy for the flying club and a separate policy to cover you, the renter - avoiding any conflicts of interest. By becoming a member, you are covered. - On-site maintenance facility and professionals on staff to constantly monitor aircraft and ensure its safe and airworthy condition. You don't have to wait for days or weeks for your airplane to be sent to another location for maintenance! 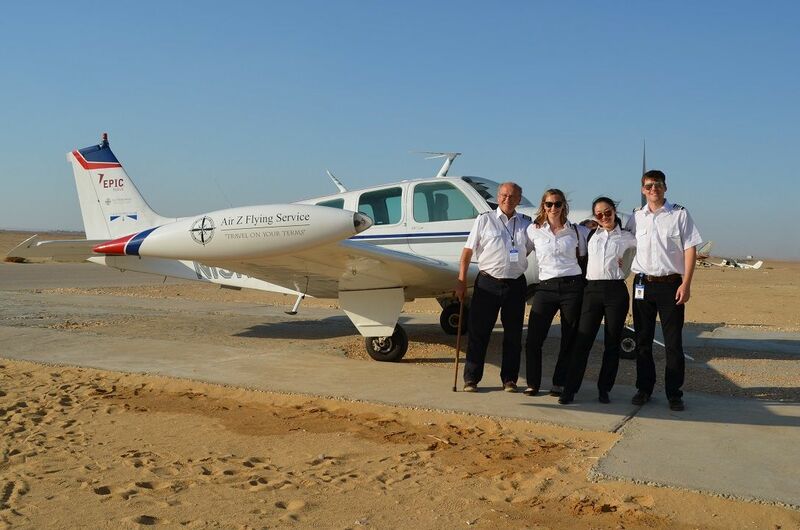 - Private and Instrument Pilot ground schools on a regular basis. These structured classes bring down the cost of training and give you the benefits of learning from others in your class. - Flexible scheduling. T&G will pair you with an instructor that fits your needs and your busy schedule. - A monthly newsletter to keep members fully aware of club news, trips, and social activities. - 24-hour accessibility via online scheduling. With the size of our fleet, getting a plane is rarely a problem. Fly on your schedule! Want to get started? The first step is to take a Discovery Flight.